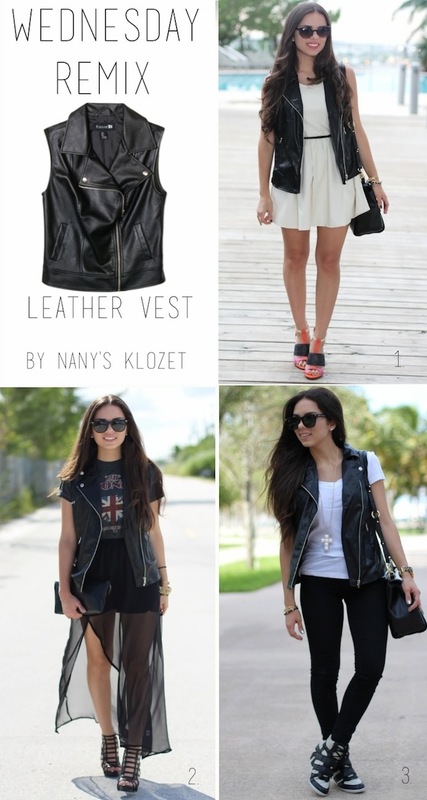 Leather vests are as versatile as a simple leather jacket- but more appropriate to wear during the hotter months . As you can see, I've worn it ith leggings, jeans, dresses, and skirts.... and the best part is the rocker feeling it gives to the look. Los chalecos de cuero sintético son igual de versátiles que las chaquetas pero más apropiados para climas calurosos como el de Miami. 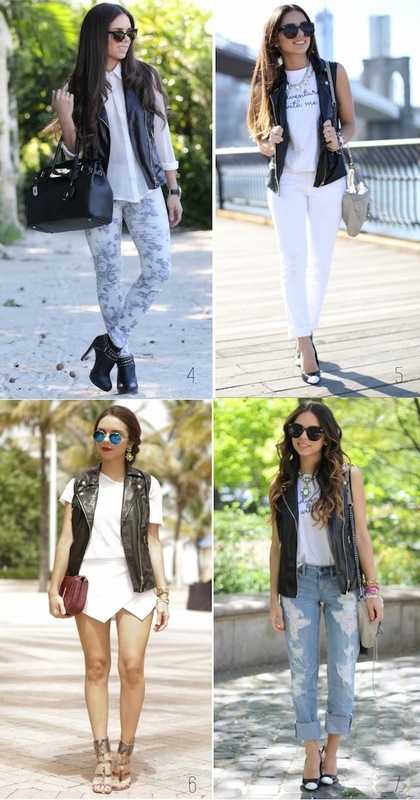 Como pueden ver, lo he usado con leggings, jeans, vestidos, y faldas....y lo mejor de todo es que le da un toque rocker a cualquier look. Cuéntame cual es tu favorito. The disease did not expect to wear tights!